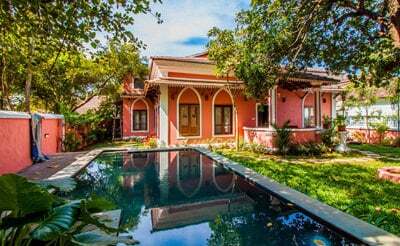 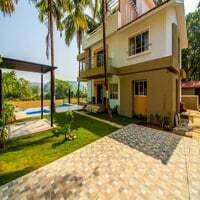 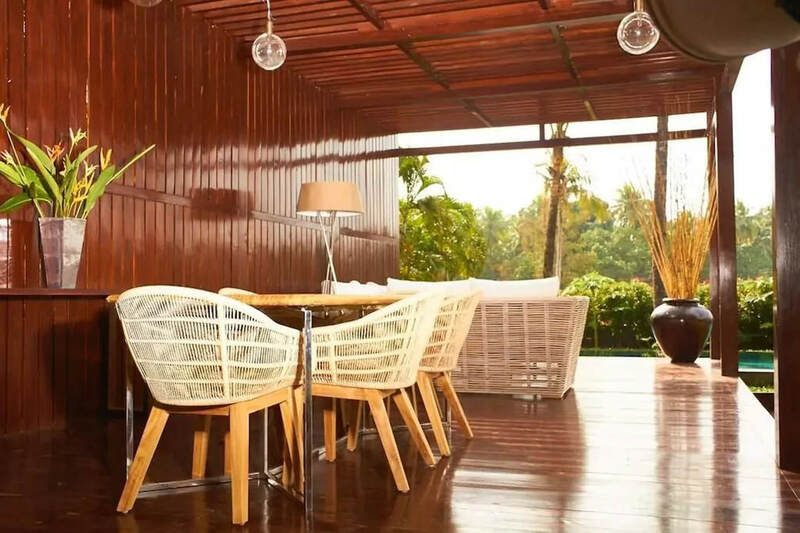 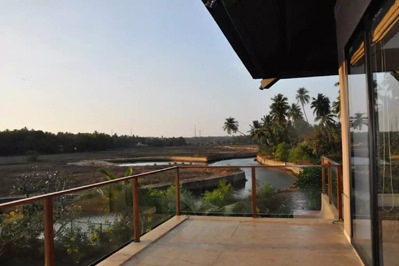 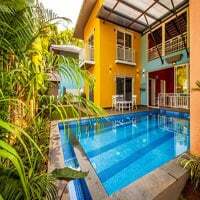 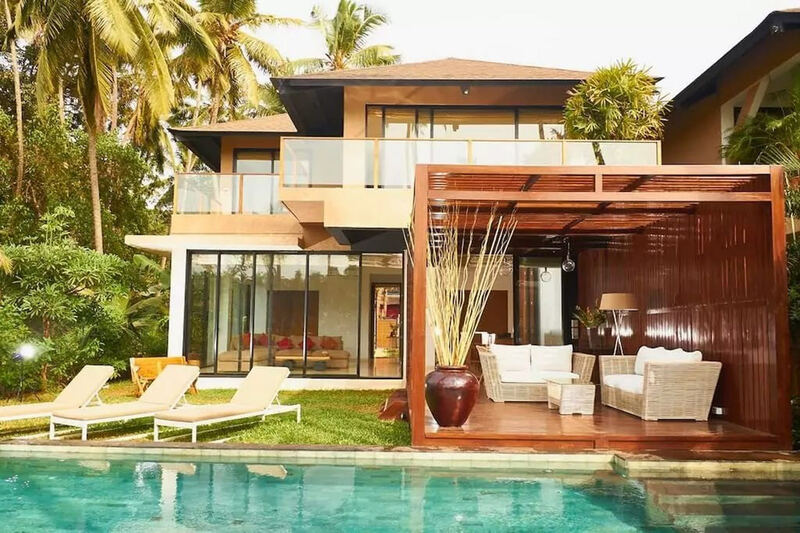 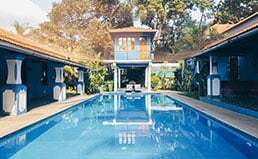 Anjuna in North Goa is now home to a lovely property "Anjuna Villa III" that is a collection of three private luxury villas designed to perfection. 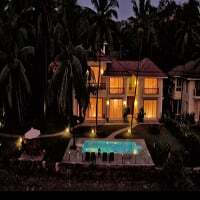 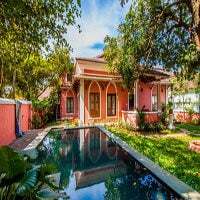 It includes a five bedroom villa, and two 4 bedroom villas that overlook the magnificent paddy fields and hills. 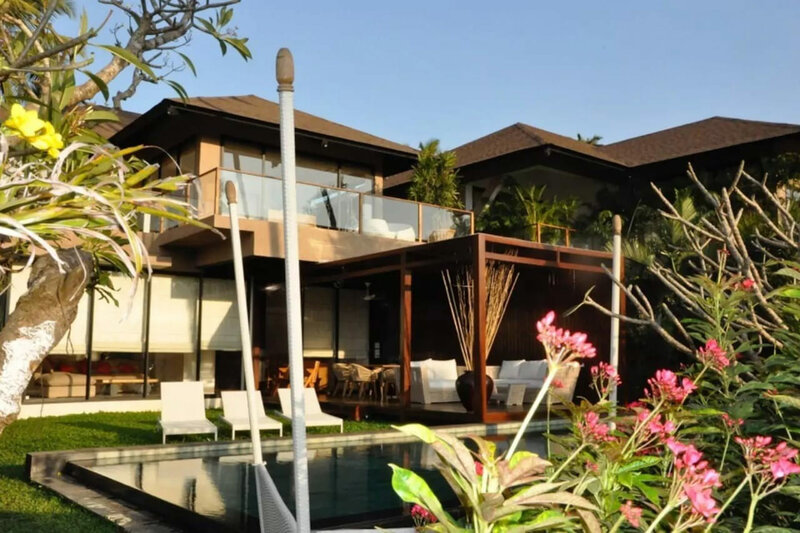 The private driveway from the gate takes you to the majestic property that is covered in glass from floor to ceiling giving you the privilege of admiring the lovely outdoors from within the villa. The spacious rooms in the private villa get a generous amount of fresh air and light keeping you energized all day long. 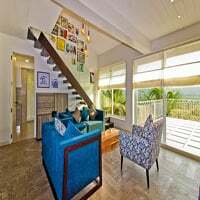 The extra-large living room is completely furnished with comfortable sofas, wide screen television, music system and lovely interiors. 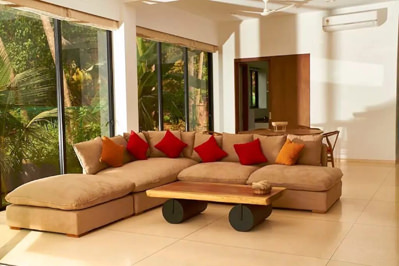 After a long day out in the streets of Goa, the air conditioned living room is the right place to rest. 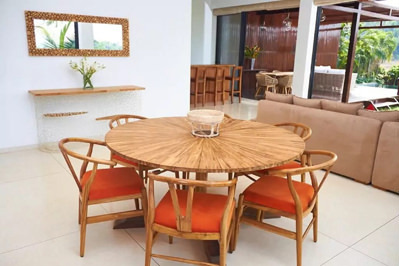 The dining room fits the entire family so you can dine in style and relish having a meal. 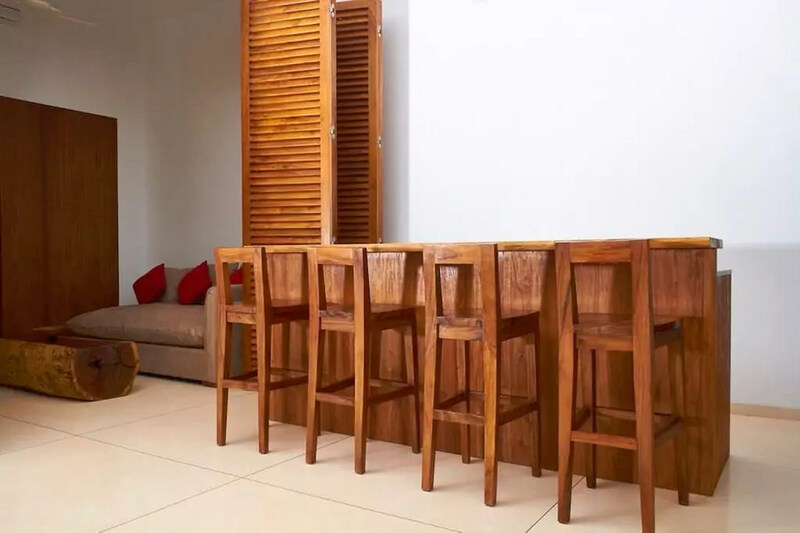 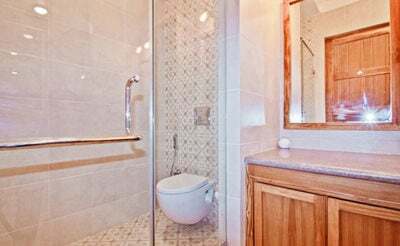 The self-catering kitchen is fully equipped with all modern cutleries, crockeries and other kitchen requirements so you can self-cook or hire a chef matching your taste buds. 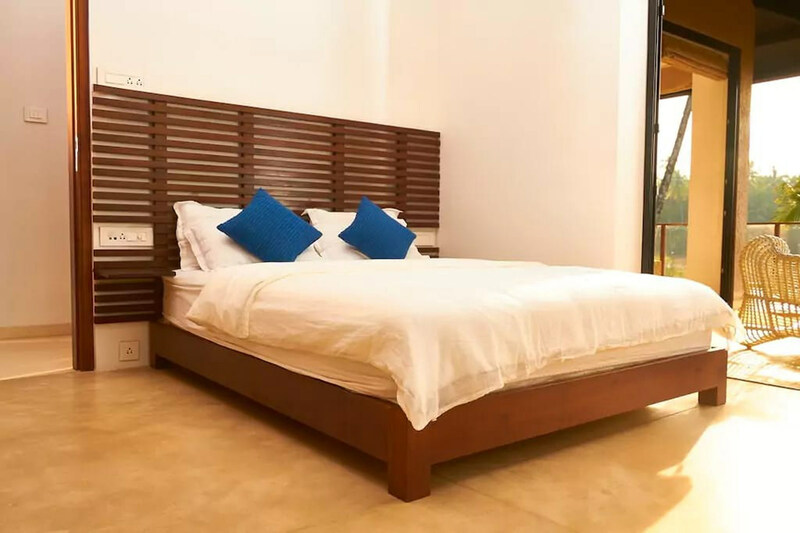 Each of the bedrooms comes with huge beds, mattresses, linens, wardrobe, en-suite bathroom and more amenities. 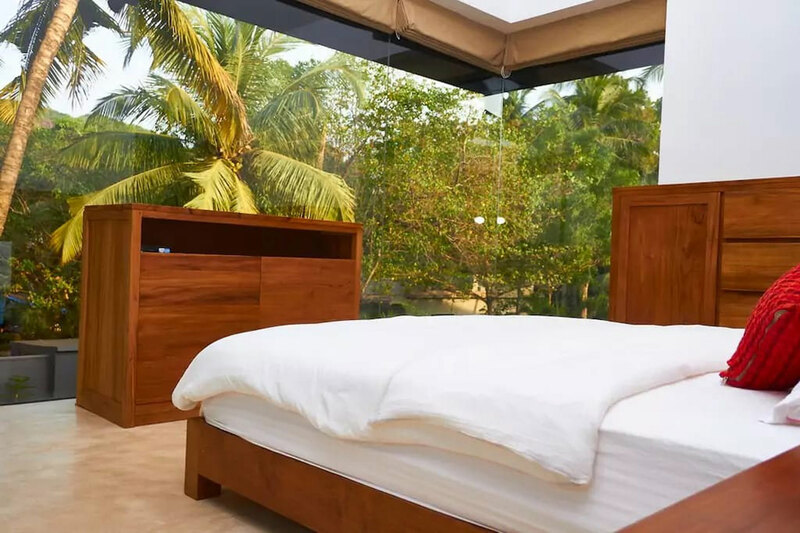 You can be sure of catching up a good night’s sleep in the villa. From the balcony you can admire the Goan tropical breeze that sings into your ears. 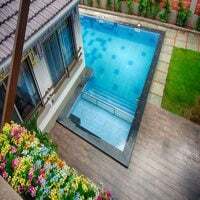 The 12 feet long private swimming pool is good for a dive or swim anytime you like. 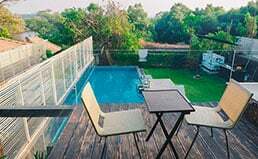 You can stay cool in the hot afternoons, or enjoy a pool party when the sun decides to settle down for the day. 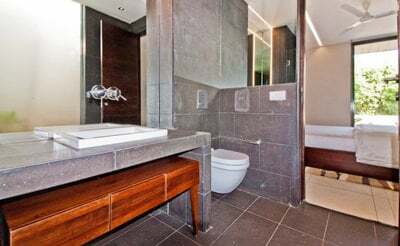 The water bodies within the villa bring nature in to your room in a special way. 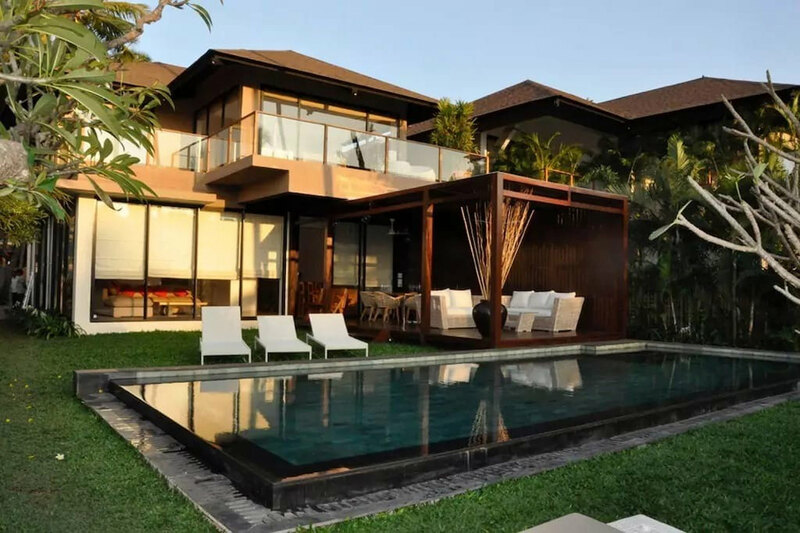 You also have the assistance of housekeeping, security, power backup and more. 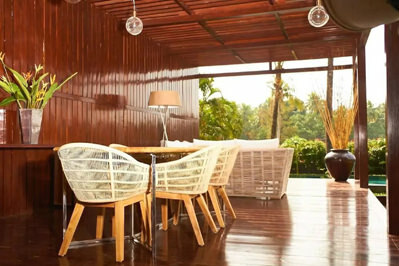 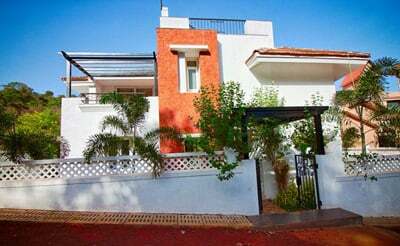 These villas are located on the Calangute Anjuna road between Lila Café and Double Tree Hilton. 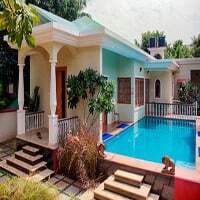 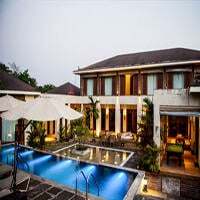 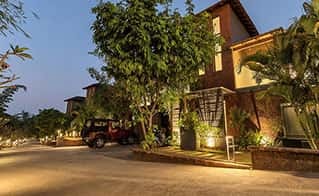 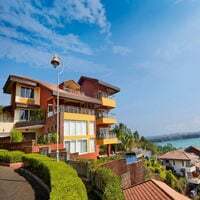 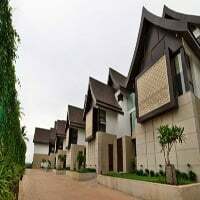 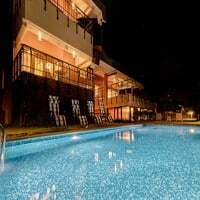 Arpora Night Market, Splash Water Park, Club Cabana, Bhumika Temple, Anjuna beach and the Thalassa & Antares café and restaurant are some of the places close to the luxury villa.